The watch’s Activity app has a great design. Health on the iPhone, not so much. I have to agree with that. The tricircular interface on the Apple Watch’s Activity app, which shows how much you move, exercise, and stand, is a brilliant design. 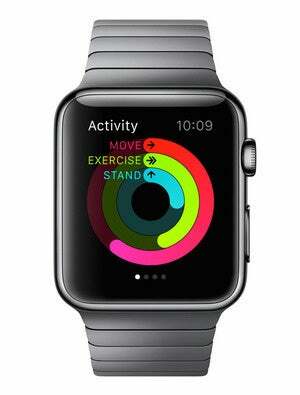 However, much of the Apple Watch’s data will be piped through to the Health app on your iPhone, and the interface of that app is sorely in need of a redesign, even if we do get a separate companion Activity app for iPhone too. There is a huge disconnect between the simple, intuitive interface of the Apple Watch and the dry, archaic look of the Health app. 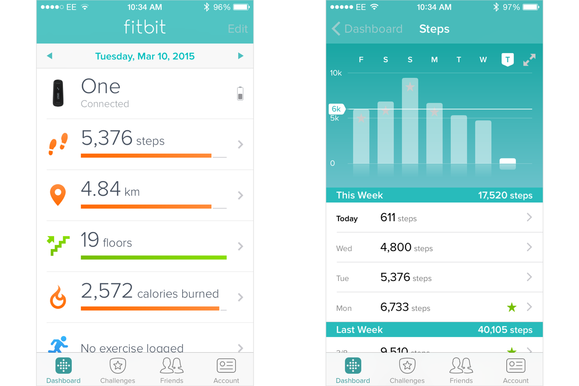 With nothing but straight graphs lacking easy-to-spot dividers, the Health app displays data in ways that will put off even the most earnest of exercisers. 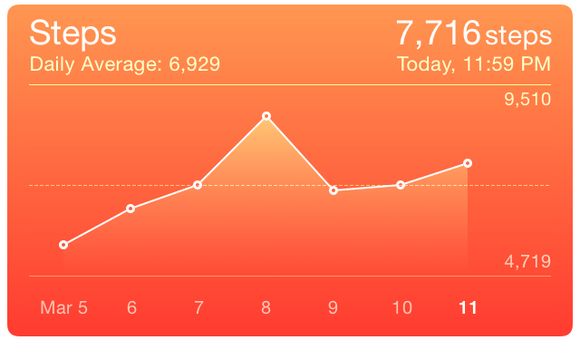 Here is the weekly step graph from the Health app. The Y axis has arbitrary numbers, and the center line is probably the average, but it isn’t labeled. In addition, while it’s not as obvious in this screenshot, it’s very difficult to read the above numbers on an iPhone because the thin, white font doesn’t offer much contrast. 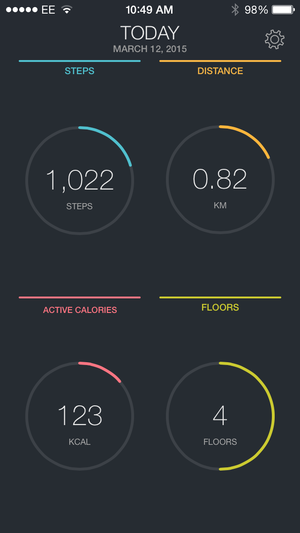 Depending on which type of metric you select, the Health app chooses colors for the dashboard cards. You can’t opt for a more readable color, and the fonts are all white, against a variety of light-colored backgrounds. Other apps make reading data much easier. Using Fitbit’s app, I can see at a glance, in large, readable numbers, what my activity level is, with step counts, distance, calories burned and more. 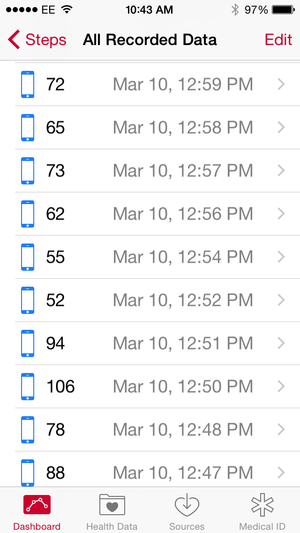 And if I tap on the Step count, I see a weekly view that is still more informative than Apple’s. 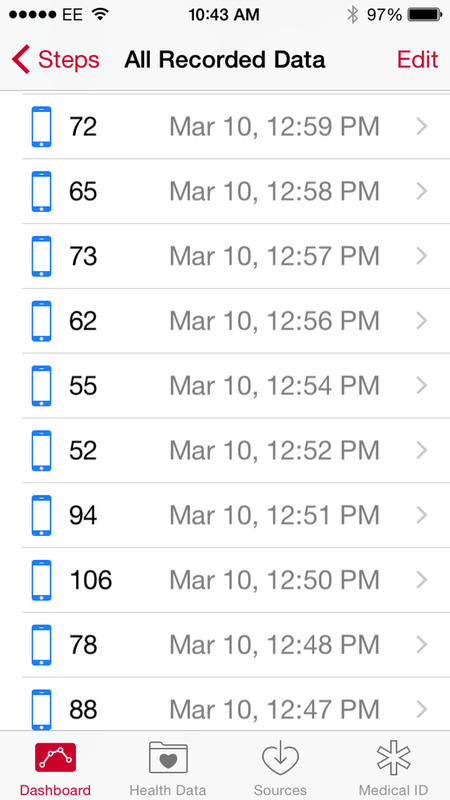 Step data in the Health app is not very practical. The Withings iOS app shows far more information, in a more understandable way. You can see your activity in half-hour slices, see how it measures up to your daily goal, and also see distances, calories burned, and more. In the absence of a usable dashboard in the Health app, you may want to go for a third-party tool. The $2 FitPort pulls in data from the Health app and displays it in a more readable manner. You can set daily goals for each of the metrics it displays, and circles will show you how close you are to those goals. 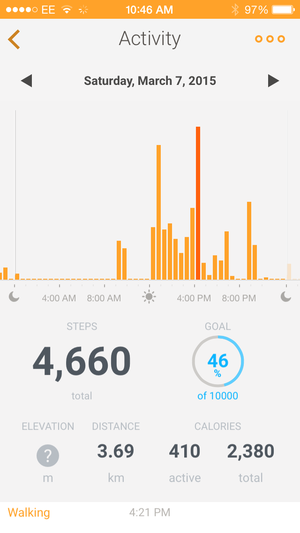 FitPort also gives you much better views of data from past days than the Health app does. 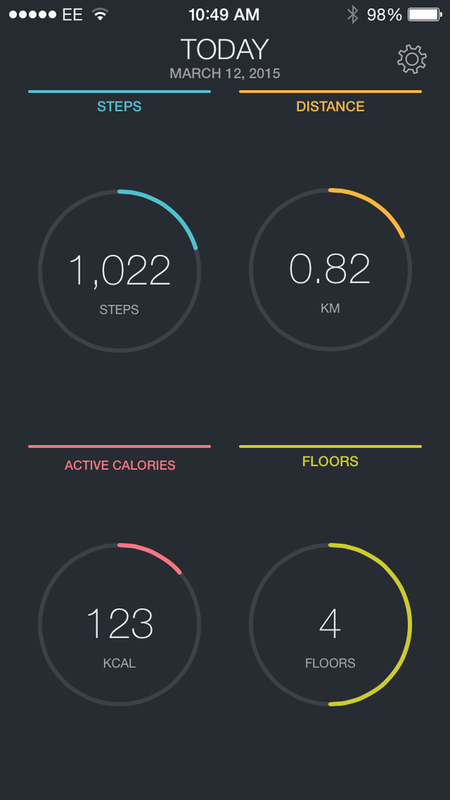 FitPort is the dashboard that the Health app should have. 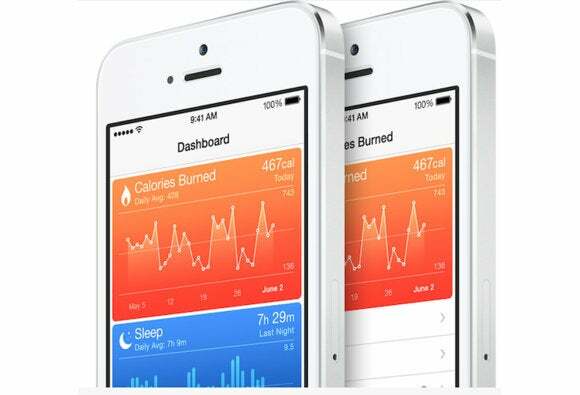 Apple’s Health app records a lot of data, but presents it is the wrong way. Different data sources could benefit from different displays, and, at a minimum, they could offer more than just straight line graphs. In addition, the choice of white fonts on often light colored backgrounds makes it hard to read, and the lack of daily goals limits its use. I hope that Apple can reproduce the attractive interface on the Apple Watch in a new version of the Health app for the iPhone.